Nestled in the heart of Minnesota, close to major businesses and attractions, the Holiday Inn Express Brainerd-Baxter Hotel is home to the Three Bear Water Park, Cragun’s Laser Tag Park and Arcade. 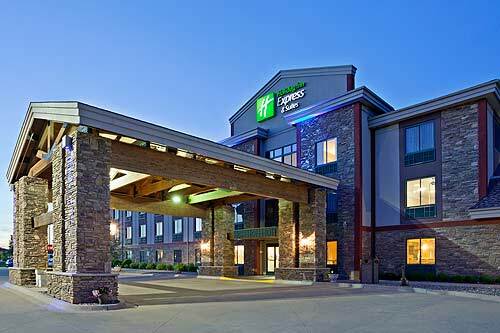 The Holiday Inn Express Brainerd-Baxter Hotel is nestled in the heart of Minnesota, best known for its beautiful lakes and awesome outdoor recreation. Corporate travelers appreciate our modern facilities which boast an on-site Business Center with print, copy and fax services and a 975 square foot meeting room. Our Brainerd hotel guests enjoy a visit to the Three Bear Water Park, our on-site park that boasts everything from a lazy river to a 1,000 gallon dumping bucket. NEW this summer is our Cragun’s Laser Tag Park – a whole new way to have some fun while on vacation with us.